Boulder, CO (May 16, 2016) — Active Interest Media (AIM) today announced that Collin Stewart has been named Director of Consumer Marketing for AIM’s Healthy Living Group (HLG). In this new position, Stewart will drive the strategic direction of and marketing for AIM Healthy University (AHU), and support marketing for all consumer offerings. The Healthy Living Group contains some of AIM’s premier brands, including Yoga Journal, Vegetarian Times, Oxygen, Clean Eating, and more. Before joining AIM, Stewart was the Director of Growth Marketing at Craftsy, the online craft website that offers its 10-million-plus registered users more than a thousand classes in cooking, photography, art, knitting, and more. During his tenure, he was responsible for increasing performance in a variety of marketing channels and projects ranging from Facebook to email. Prior to Craftsy, Collin was Director of Digital Marketing at HomeAdvisor, a subsidiary of IAC, a leading home-improvement website with more than 85 million unique visitors per month. 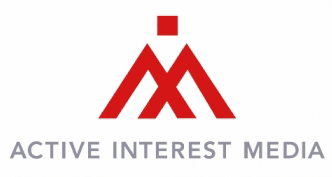 One of the world’s largest enthusiast media companies, Active Interest Media (aimmedia.com) produces leading consumer and trade events, websites, magazines, films, and TV shows that reach 40 million readers, fans, and attendees in 85 countries. AIM produces the world’s largest boat shows, led by the annual Ft. Lauderdale International Boat Show, as well as the World Series of Team Roping, the second-richest equestrian competition in the world. Our brands include Yoga Journal, Backpacker, SKI, Skiing, Vegetarian Times, Anglers Journal, Yachts International, Sail, Power & Motoryacht, Black Belt, American Cowboy, Spin to Win Rodeo, Practical Horseman, Dressage Today, Oxygen, Clean Eating, Log Home Living, Old House Journal, Cabin Living, Woodsmith, Garden Gate, and more. The company’s six divisions—the Equine Network, Home Group, Healthy Living Group, Marine Group, Outdoor Group, and Creative Home Group—also operate thriving B2B platforms, online universities, and retail events. Core competencies include lead generation (through our Qualified Buyer Program), marketing services (through our in-house agency, Catapult Creative Labs), and video production; Warren Miller Entertainment is the most successful adventure-film company in history, and AIM Studios is a seven-person unit dedicated to digital video. Active Interest Media’s customers are smart, engaged, and loyal, and they look to our brands for trustworthy information and services that will inspire and enable them to enjoy their passions.